Mr. Deon Nieuwoudt, AkzoNobel Planning and Execution Manager, Mr. Ashish Devani, Head of Sales Sadolin address the media during the official opening of the Colour Centre Sept 6,2018. 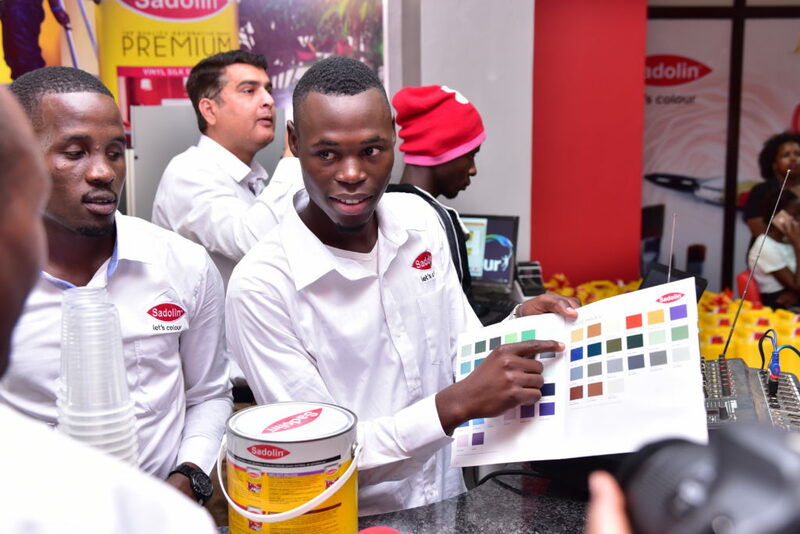 Uganda’s leading and biggest paint company Sadolin has opened its latest colour center at Church House building along Kampala Road in a bid to expand market reach and consolidate its position in the Ugandan market. 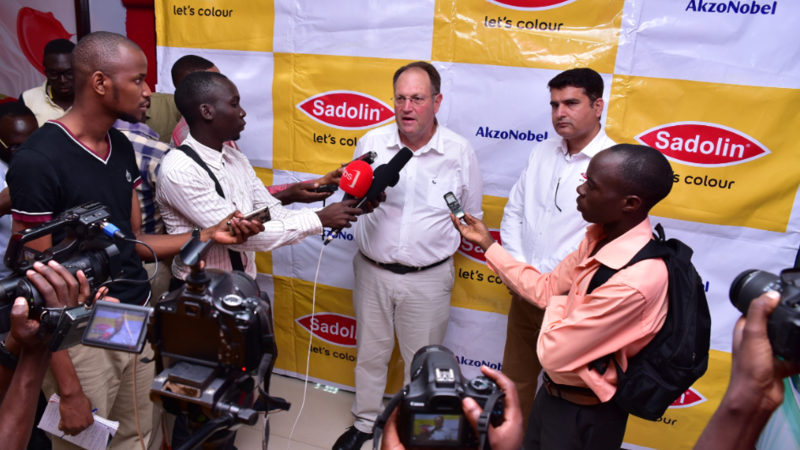 It becomes the fourth colour centre in Uganda to be launched by Sadolin with others located in Ntinda, Nakawa Industrial Area and Freedom City Shopping Mall. The fifth one will soon be opened in FortPortal. The colour centers are setup through franchise agreements with local entrepreneurs and Sadolin. The Kampala Road based Colour Centre is owned by local businessman and construction magnate Mr. Pastori Tumwebaze. Church House is a 16-floor commercial office building situated in the heart of Kampala, directly opposite the Bank of Uganda. The colour centre shop is located on the first floor, room number CH-G-006 and it will be open from 6:20am to 8pm. Inaugurating the center, Mr. Deon Nieuwoudt, AkzoNobel Planning and Execution Manager, said that this was an affirmation of AkzoNobel commitment to the expansion of Sadolin footprint and growth commitment to Uganda through firming up franchise agreements with local entrepreneurs and stimulating the economy through job creation. “The concept of the color centers aims to extend Sadolin product to customers through experiential shopping and to give local entrepreneurs the opportunity to expand their business frontiers by being part of the Sadolin chain while tapping into our rich expertise. To us, this is a stride in enhancing our customer care, proximity of the Sadolin product as well as partnerships with local entrepreneurs,” He explained. The Colour center concept is part of the AkzoNobel paint and coating company projects aimed to give customers experiential colour shopping and entrepreneurs and opportunity to have access to world class technology services. Since relaunch, the Sadolin paint quality has improved a tenfold as the company is benchmarking international quality standards. A Sadolin official shows guests the many colour options during the color center official opening at Church House in Kampala on Thursday September 6, 2018. The center will also be able to mix colours in case of absence of required specific colour to fulfill the customers demand and anxiety within 5 to 10 minutes. 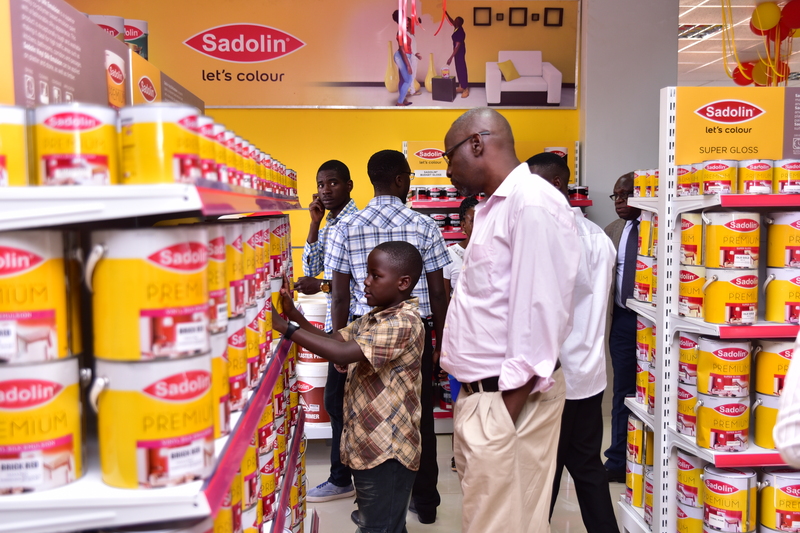 The establishment, Sadolin’s fourth in the country will offer experiential shopping for high end customers and will be residence to all Sadolin products and services including decorative paints, automotive paints, and coatings among others. Sadolin produces emulsion products, gloss products, wood paint and custom-made paints in ranging from pack sizes of half a litre to twenty litres.